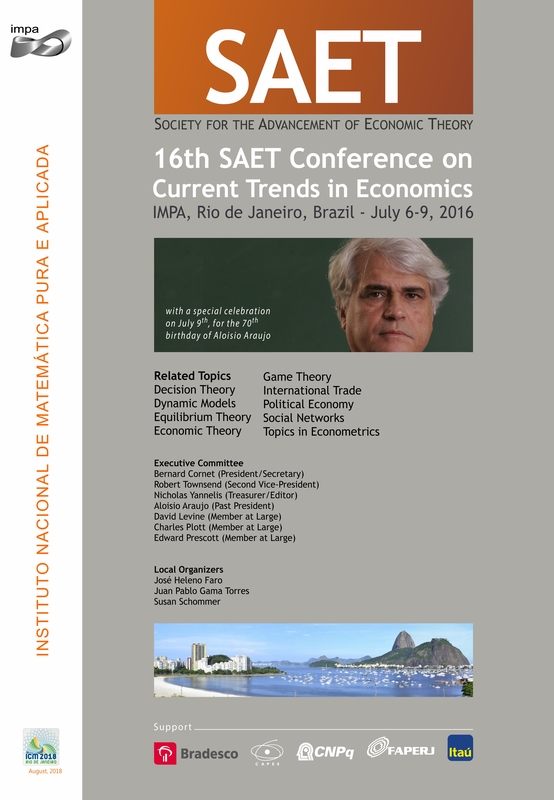 The 16th Annual SAET Conference will be held July 6-9, 2016 at the Institute for Pure and Applied Mathematics, IMPA, Rio de Janeiro, RJ, Brazil. The conference chairs are José Heleno Faro, Juan Pablo Gama Torres, Susan Schommer and Nicholas Yannelis. 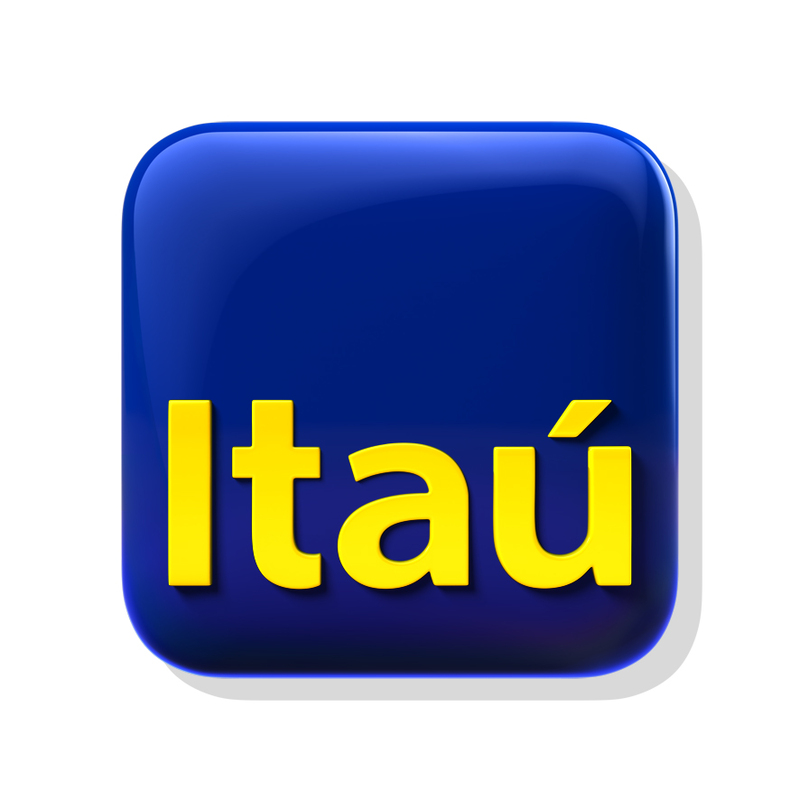 Please direct any general questions to saet2016@impa.br. Among many others, we have the following confirmed participants. For a complete list of Session Organizers. What does the tail of the distribution of current stock prices tell us about future economic activity? Are capital (and earnings) incentives effective for loans loss provisions? Whether to Hire a Superstar? 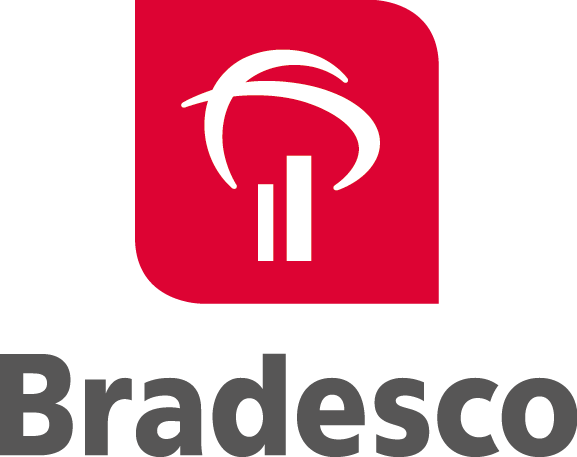 Do Mandatory Liquidity Disclosures Foster or Forestall Coordination Failures? When Should the Jurors Talk? – Kevin Reffett (Arizona State University) (with Manjira Datta, Arizona State University & Łukasz Woźny, Warsaw School of Economics). Can Guest Workers Solve Japan´s Fiscal Problems? Joint lunch for both PET and SAET participants.